Sloping gardens can often be problematic and result in some wasted space. Add a dead tree to the mix and it sensible to make better use of that part of the garden. In this case study the customer decided to put a 7’ x 5’ A&J Woodford shed. 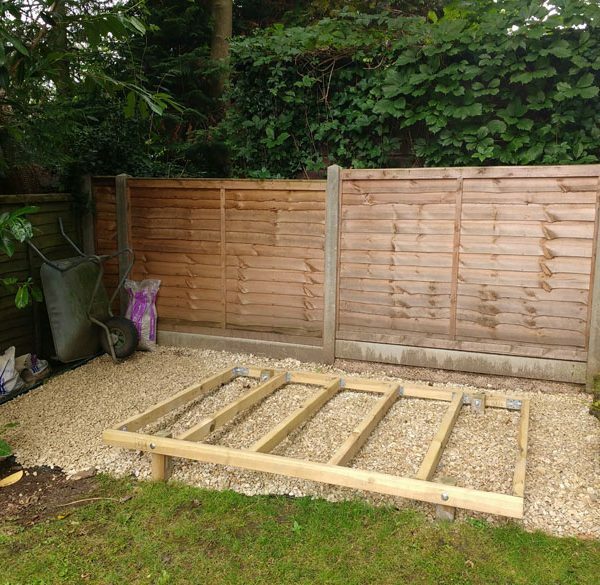 The aim of this project was to install a shed into the corner of the garden that previously had a dead tree looking unattractive and wasted space. The customer didn’t need a large building, but somewhere just to store a few garden tools. This customer decided to clear away the dead tree and prepare the ground themselves in order to save some cost. 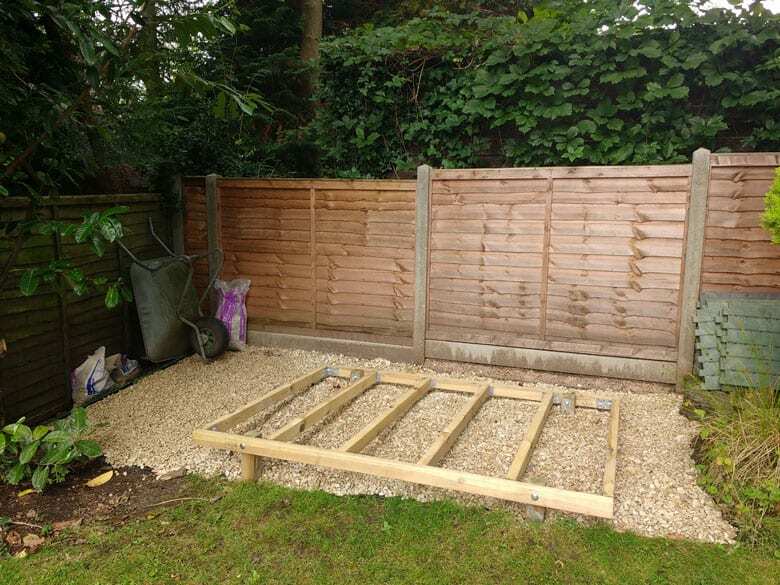 Due to the sloping site, rather than excavating a lot of soil and putting in a paving slab or concrete base, they opted for a pressure treated wooden decking framework. 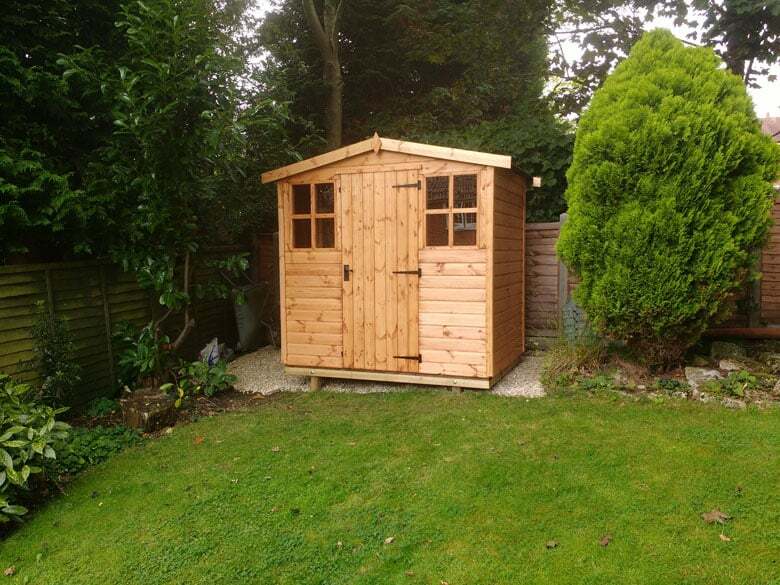 We provided the customer with a base plan and advice on which way to run the timber the opposite way to our floor joists, to ensure our shed sat on the base perfectly. Underneath the timber base the customer laid some gravel to act as an attractive weed suppressant. 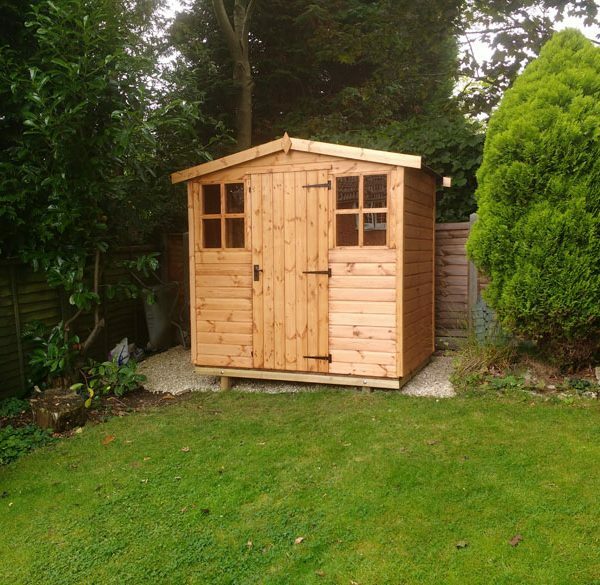 Once the base was complete, A&J’s professional team of installers delivered & fitted the shed within a couple of hours. The end result was a practical and attractive corner of the garden where the client has a new shed to store their gardening equipment.